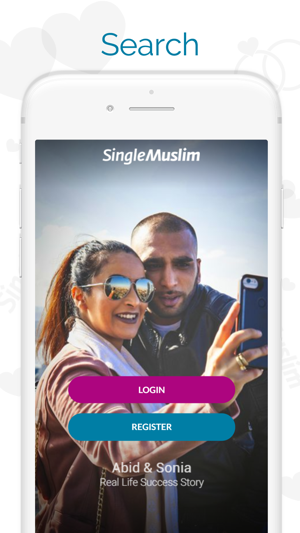 • Log in using your existing SingleMuslim.com account. 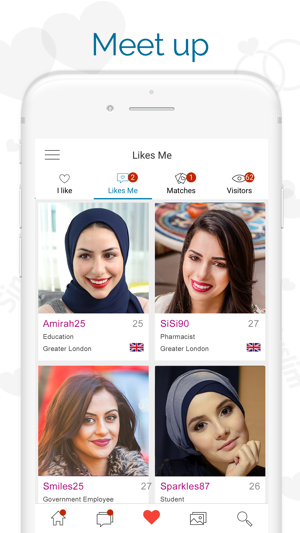 • Create a free Muslim dating profile. • View Muslim singles living near you. • Update your profile and upload photos. • View the photo gallery to see who's online. • Send and receive messages whilst on the move. • See who's been viewing your profile. • Search profiles using advanced search criteria. • View detailed profiles of members in your area. • British, American, Canadian, Australian and Arab Dating. We use the latest technology to provide a safe online, interactive environment to find your ideal marriage partner. 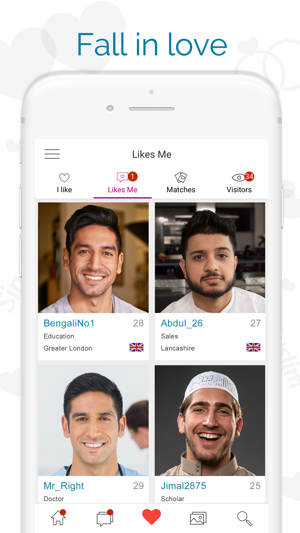 Our unique service is run by Muslims, for single Muslims and offers unrivalled opportunities for SingleMuslims to meet potential Islamic marriage partners online. SingleMuslim members can take advantage of our exclusive online service and can search an extensive, current and growing international database with the assurance of complete privacy. Our rapidly expanding, international database means that the chances of finding the right partner are second-to-none. Download the app and start your search today! **Prices are in U.K. pound sterling , may vary in countries other than the U.K. and are subject to change without notice. • Your account will be charged for renewal within 24-hours prior to the end of the current one/six/twelve month periods. How do you search through 2 million profiles and find the perfect one? With over 100,000 happy couples what you waiting for ! I don’t usually write reviews but I thought it was important for all my single muslim brothers and sisters out there to know the truth. This platform is a scam. They will send you messages from their fake user account to lure you into a subscription. Once you pay the ridiculous amount of $49_ Yes, you heard me right $49 dollars_ you dig deep and you finally realize that you have been deceived. You cancel your subscription a few days later. Obviously not all the profile on this platform are fake. I just think it is important for everyone one to know the type of dirty business that is taking place under the banner of this beautiful religion of Islam. 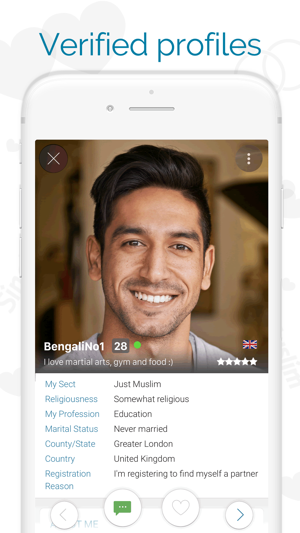 I am not gonna advertise any other platform here but, there are way better and way cheaper options out there for single Muslims. This app is a total fraud. I created an account and never put a picture up and would receive tons of messages from woman. I thought that was strange but dismissed it for various reasons justifying it in my head. Finally took the plunge and paid because the male subscribers have to in order to do any interaction on the app. Now? It's a ghost town. No replies to my messages. It's like they are paying some females to lure men in to pay then disappear. The app CRASHES when you try and view older messages by hitting the "View All Messages" button. So I paid 105 dollars plus tax to read a few messages and that's it? Shame on you developers. Will gather info and seek legal action for fraud. I decided to just check it out cause I’m a curious guy. When I start getting messages from a bunch of decent profiles I start to feel a little compelled. I must be something real special cause I don’t even have a photo up. So I decide, to play along. Turns out you have to pay 50 dollars just to interact or read messages. Yea I payed the money and as you would suspect, not a single response back. Well their was one but all these other ladies just totally disappeared it seems. I say it’s a fraud because as soon as my subscription ended, boom the messages are back! Suddenly I’m in high demand. FRAUD! Also, it’s poorly put together app. © Copyright 2016 SingleMuslim Ltd.